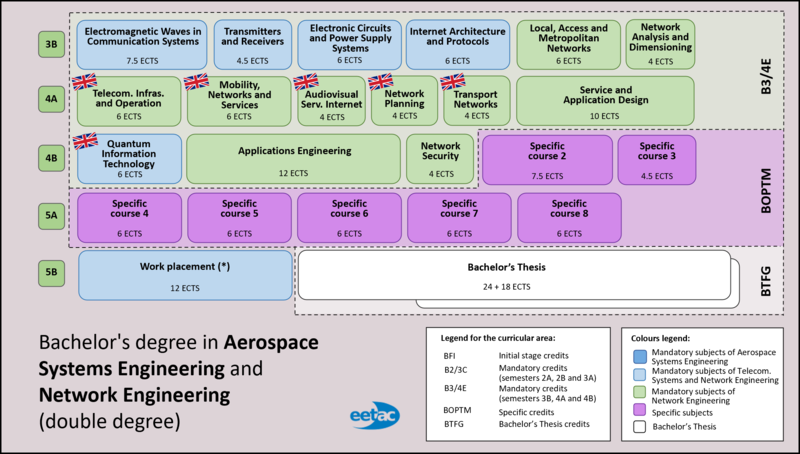 The following is a detail of the curriculum of the double bachelor's degree in Aerospace Systems Engineering (Major in Air Navigation or Major in Airports) and Telecommunications Systems or Network Engineering of the EETAC. For further information on access, grants, registration, enrolment, etc. click on this link. This double degree, for which the admissions procedure requires applicants to pre-enrol but not take an entrance exam, provides multidisciplinary training in the fields of aerospace systems engineering and telecommunications systems engineering. The Castelldefels School of Telecommunications and Aerospace Engineering (EETAC) teaches this double degree with the aim of responding to the demand for highly qualified professionals in the telecommunications and aerospace engineering sectors. Students graduate with two official bachelor's degrees after five years of study (including the bachelor's thesis). 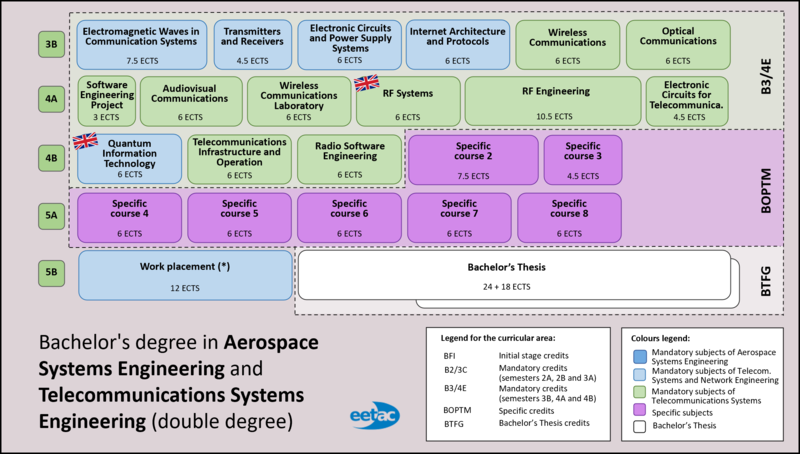 They can choose any one of the two majors of the bachelor’s degree in Aerospace Systems Engineering and one of two degrees, in Telecommunications Systems Engineering or Network Engineering. (*) Work placement can be done once half of the credits of the double degree have been exceeded. (**) Check this link to know how many groups are taught in English each semester.